My younger bro was doing some doodles one night, and whipped up this random pic here and decided to colour it. I guess it counts as furry so he wanted me to post it here :3. Oh man, you have no idea how much Serris'd be drooling over this shark. 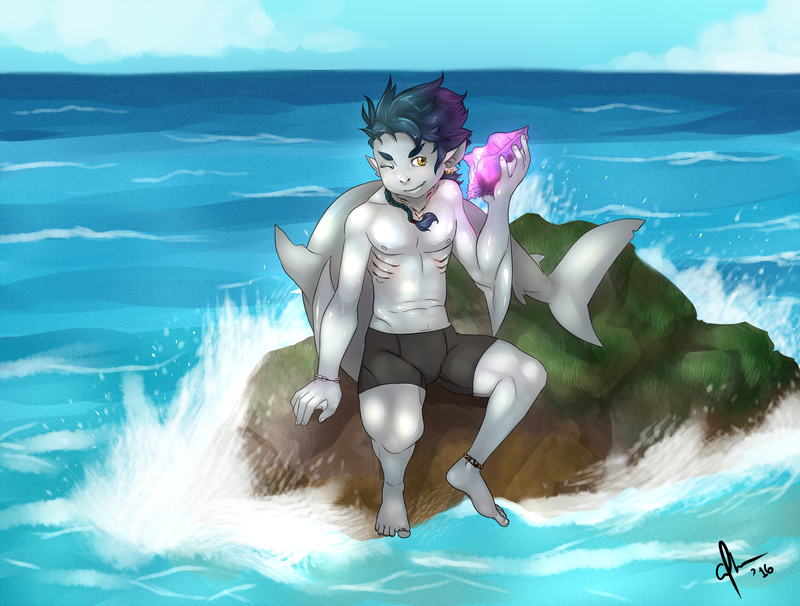 Not enough shark boys around here. Never enough shark boys around here. Where's Lava Girl? You can't have Shark Boy without Lava Girl.